Lack of brand clarity stopping your growth? Unlock the power of combining your Business brand + Personal brand together, with Nathan LIVE in Singapore. Now is the time to discover ‘Parallel Branding’. In this session, you’ll learn how to stop confusion in its tracks, create clarity, and learn practical strategies to join your business and personal brands together to attract people and increase opportunity. Clarifying your key message to attract valuable clients. Developing a distinct visual style to boost recognition. Creating branded content to growing your audience. Date: Tuesday 7 May, 2019. Non-members: Just SGD $5 entry. The Hive New Bridge Road is in the heart of Singapore city. 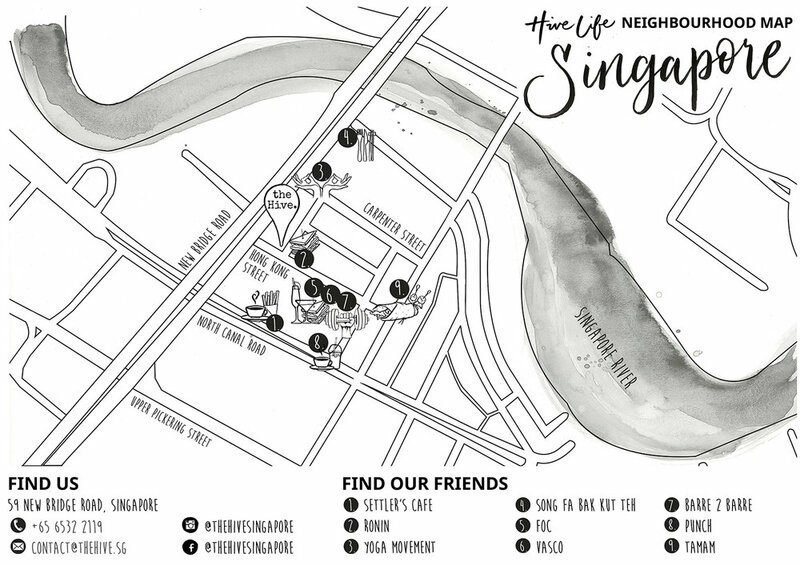 Conveniently located on the corner of New Bridge Road and Hong Kong Street, between Clarke Quay and Boat Quay, it is 5 minutes walk to the Clarke Quay MRT station. Hong Kong Street is fast gentrifying with several high end excellent restaurants, bars and the 17 HKST Cafe.